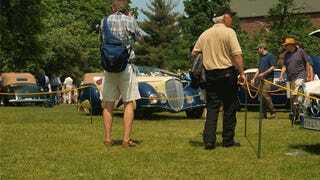 I tried to line up a wide shot of the &#39;37 Delahaye at Greenwich. I tried to line up a wide shot of the '37 Delahaye at Greenwich. It had to wait a while. This is about 20 minutes of dummy shots.